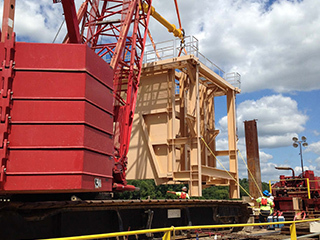 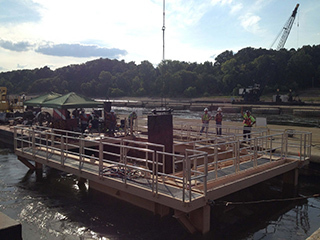 This project called for providing fleet support adequate to perform all operations necessary for the lifting and setting of a government furnished 60-ton dive deflector box to allow USACE divers to remove and replace 82 wicket gates at Lock and Dam 53. 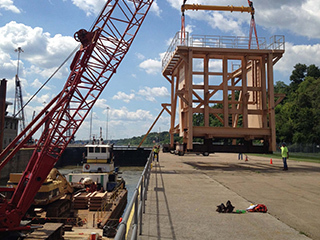 Fleet support consisted of providing a floating plant, anchoring the floating plant, positioning the provided floating plant, underwater excavation, transporting the 60 ton dive deflector box from Ohio River Mile 604 to the job site at Ohio River Mile 962.6, and picking and setting the 60-ton dive deflector box to allow for the removal and replacement of the wickets. 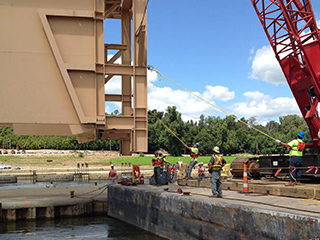 The project was originally scheduled to be completed in December 2016, however the USACE issued a modification to the original contract extending the period of performance by 181 days to June 30, 2017. 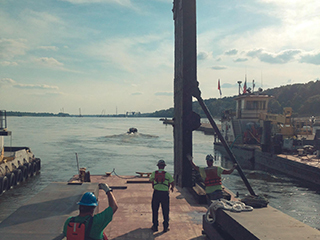 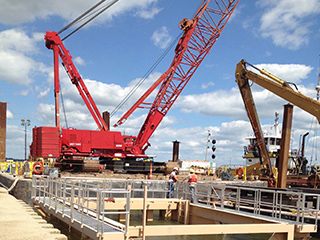 The modification called for providing emergency fleet support for dam wicket replacement at Lock and Dam #52 and increased the contract amount to nearly $8.5 million.